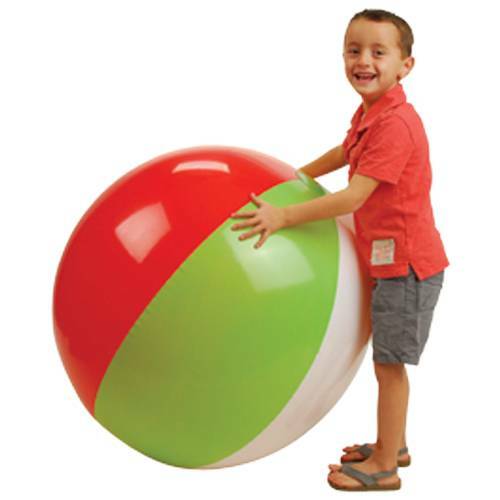 Their little eyes will light up when you bring out this enormous inflatable beach ball at the next pool party. Everyone will be scrambling to play with this larger than life classic water toy. Also makes a great back yard toy or Luau decoration.